These fan reactions are hilarious! After a fan uproar online, Netflix quickly clarified on Dec. 3 that “Friends” would not be leaving the TV streaming service. “It’s the Holiday Armadillo, here to tell you a magical holiday story called FRIENDS IS NOT LEAVING NETFLIX IN 2019,” Netflix U.S. posted on Instagram. Both its Facebook and Twitter accounts also shared similar updates to assure grieving subscribers. Netflix Canada said “Friends” would also be sticking around on its platform in 2019. Fans of the mega-popular TV show expressed immediate relief, with many sharing happy GIFs. Carolina Villarreal posted this one showing Ross, Rachel and Phoebe jumping for joy. But until Netflix clarified “Friends” isn’t disappearing from the streaming service, it was like “The One Where Friends Fans Are in a Frenzy,” with dozens posting GIFs of upset “Friends.” Chicks in the Office tweeted this one of a dismayed Ross. And Elizabeth Boyer shared one of an unamused Rachel. Someone even started a Change.org petition demanding that Netflix change its mind. The confusion over whether the show would disappear from Netflix first came up when the phrase “available until Jan. 1” appeared on the “Friends” Netflix details page. Rumors quickly circulated that this meant “Friends” was a goner from Netflix. And Netflix users were not happy. “Ahh, ‘The one where all 117 million Netflix subscribers threatened to unsubscribe,” as one Facebook commenter summed it up. 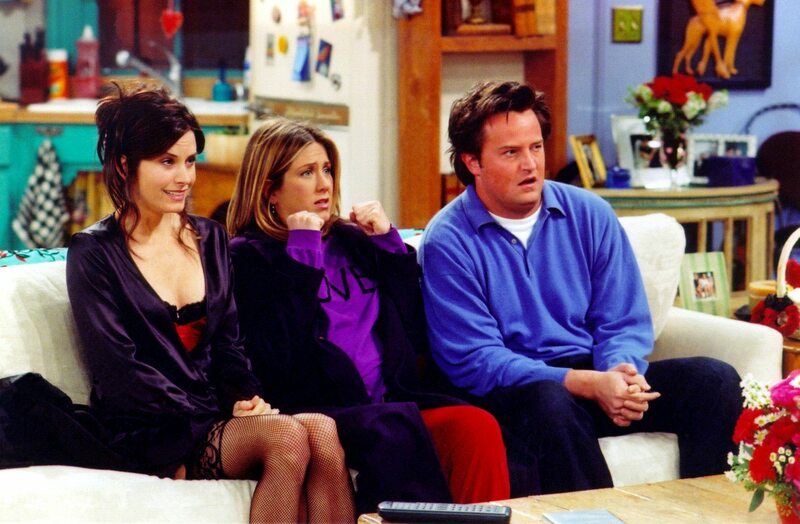 The ensemble comedy starring Jennifer Aniston, David Schwimmer, Courteney Cox, Matthew Perry, Lisa Kudrow and Matt LeBlanc went off the air in 2004, but remains one of TV’s most popular sitcoms to date. Netflix’s chief content officer, Ted Sarandos, clarified to multiple news sources on Dec. 3 that the show will be on Netflix through 2019. After that, its streaming status is unclear. WarnerMedia owns the rights to all 10 seasons of “Friends,” and the company recently made plans to launch its own TV streaming service in late 2019. That leaves the future fate of “Friends” streaming availability on Netflix up in the air. So for now, the show will still be there for you, “Friends” fans — but maybe only for another year.